Struggling with what to get friends or family members this holiday season? Don’t know what to ask for yourself (apart from a device that will help you get over 2018’s considerable sleep deficit)? The Editors at TGA have put together a holiday guide of the geeky and academic offerings on the market this year we’d like, in addition to more affordable conferences. The best scholarship — archaeological or otherwise — should help us better understand our present world, as well as the past. Roller’s book, which blends archaeology, history, and ethnography to examine a historic Pennsylvania coal mining town and a late 19th century massacre of immigrant laborers, also explores “how the archaeology of the recent past can uncover the deep foundations of today’s social troubles.” It’s an intriguing premise and suggests a fascinating read. I’m fascinated by pseudoarchaeology and always discussed it when teaching anthropology, since it is an easy (and interesting) access point for scientific thought and how knowledge is created. Card’s latest book explores the relationships between antiquarianism, archaeology, pseudoarchaeology, and pop culture archaeology through their historical and modern intersections with science, mysticism, the supernatural, and occult. It promises to be an interesting history of archaeology as a discipline and why it (and the unknown) has long captivated our attention. A regular on one of my favorite podcasts, Monstertalk, Richard Sugg has made a name for himself investigating the history, folklore, and medico-scientific discourses that inform supernatural beliefs and creatures like the vampire. Sugg’s latest book tackles fairies (or faeries, depending on who you ask), creatures with a dark and often twisted relationship with the human world, portrayed best in recent works like the Gentleman with the Thistledown Hair in the BBC’s adaptation of Jonathan Strange & Mr. Norrell and The Fairy Queen in SyFy’s The Magicians. Fairies: A Dangerous History promises to provide a cultural history of the fae, from A Midsummer Night’s Dream to the Cottingly fairy hoax. As sf (science fiction, speculative fiction) has grown increasingly diverse, so too has scholarship about the work that such fabulations expanded. Drawing upon the work of authors such as Octavia Butler and N.K. Jemisin (who recently won her third Hugo award for best science fiction novel), Dr. Schalk’s book articulates well with the recent genre-bending futurism of Janelle Monae’s Dirty Computer by blending Black feminism and disability studies, pulling readers into crip theory and consider the intersecting linkages between racism and sexism. Embed with Games is, by far, my favorite read of the year so far. Cara Ellison is woman in the game industry, a writer, and she decided to embark on a year long journey, which could certainly be categorized as ethnographic, but falls in the realm of game journalism. She spent a year staying with various game designers around the world from North America to Europe to Asia. She lived with them, laughed with them, and watched them as they worked. Originally this work was a blog, the entire project crowd-funded with the promise of blog posts as she explored the world of the game industry, and each chapter takes us on a different adventure, as she made her way from one designer to the next. As an anthropologist of play who has recently began designing and developing games of my own, this read brought me into heads and the worlds of those individuals I currently find most fascinating. The idea of watching others play games is not new to either broadcasting or human activity generally, however, the idea that we might watch each other play video games is a fairly new phenomena. Its start has its infant beginning in 2005, however, we have seen the rise of its teen years in Twitch.tv, with Amazon’s buy out of the site possibly marking its moving out and going to college, even though maturity level might still be that of an 18-year-old who still doesn’t know how to do laundry. T. L. Taylor, explores the rise of Twitch.tv, having spent the last five years completing ethnographic fieldwork with streamers, viewers, and those behind the scenes at Twitch.tv headquarters. She obtained a broad understanding of the communities involved with this platform and about the platform itself, and uses the theoretical frame of broadcasting and television (as an overarching category, to explore streaming games more broadly. You might wonder what a role-playing game is doing on my “academic” wishlist, but I’ve increasingly come to believe in games’ potential not just as objects of study but as tools that can help us think through anthropological concepts. Dialect seems like that kind of game. Through play, the players “define and explore an isolated community through its beginning, rise, and end.” Pitch for a panel at next year’s AAA: Get four anthropologists to record a playthrough of this game, then have each member of the panel present their reflections. I’m late to the party with this game (which has been out since early October), but I’m very much looking forward to it. Recent offerings in the series (Origins, Syndicate, Black Flag) have been strong, and as a classical archaeologist, it was a treat to run around Egypt in Origins (and the educator in me loved the Discovery Tour mode, which allowed players to explore and go on virtual tours of historic sites). So I can’t wait to see Odyssey’s version of ancient Greece, a cultural group with which I am more familiar, and as a female gamer, I love the game’s option of a male or female playable character. I also like that players get to determine the genders of their character’s love interests and, while any Greek historian will explain how sexual orientation in Greece differs from today, I’ll be interested to see how this feature plays out in this setting. Batman the Animated Series has a special place in my heart since it is the Batman that I grew up on, so I was excited to discover this board game. I have several other Batman board games, but these are competitive, rather than co-op, so I’m interested to see this type of mechanic in motion. And unlike some other Batman games (I’m looking at you Gotham City Strategy and Road Trip), Gotham Under Siege includes Batman’s rich cast of female heroes and villains, letting players choose between Batman, Catwoman, Robin, Batgirl, and Gordon / Montoya in their quest to defeat the city’s notorious male and female masterminds. Tales from the Loop is a TTRPG made in Sweden written Fri Ligan using Simon Stålenhag’s art, is a Swedish RPG, with the a feel like Dark (German Netflix TV Show) or Stranger Things (American Netflix TV Show). The game is set in 1980’s Sweden suburbia, which seems to be very close to my own American lived experience. However, Ligan added the fantastic beasts and strange machines of Stålenhag’s art to the world. Here you play kids and teenagers, solving mysteries from the seat of your bicycle. If you ever wanted to be Eleven, play this game. I must admit, with some of my own work being based in Sweden, I am a bit biased. I found The Sparrow at my public library this summer, and have already been thinking about re-reading it. I could tell right away it would check a lot of my boxes: sci-fi written by an anthropologist? Check. 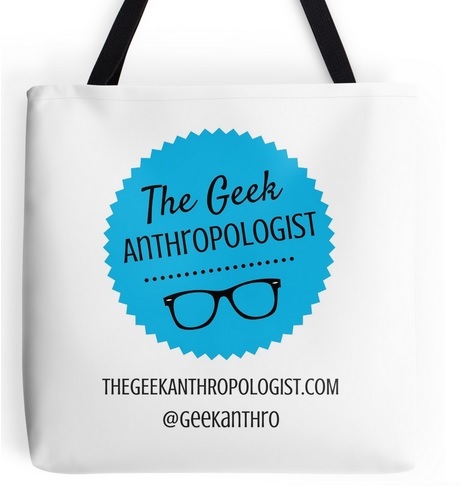 The anthropologist is not a white male? Check. The protagonist is not a white male? Check. Features a nuanced portrayal of Jesuits in space, trying to avoid repeating the mistakes of colonialism? Check to a box I was not aware I had but is apparently a theme, according to a tweet I stumbled on last week about “international space communism under the benevolent guidance of the Jesuit order.” The book begins with the sole survivor of a Jesuit first contact mission returning to earth, and uses that as the structuring tentpole for exploring the shared being-ness and intense misunderstandings that led to the failure of the mission. I loved the structure of the book, the way it approaches questions of suffering, and the lovely xenoanthropology that went into how Russell created the aliens. Gary Con is a old school game convention held as a living memorial to Gary Gygax, and every year during my dissertation research I got to make the pilgrimage to Lake Geneva, Wisconsin to experience its magic. There are bigger conventions, like Gen Con, but nothing else comes close to Gary Con in terms of getting to play and hang out with “the great old ones” of gaming. I miss it, and if you go, you’ll miss it until the next time you get to go.